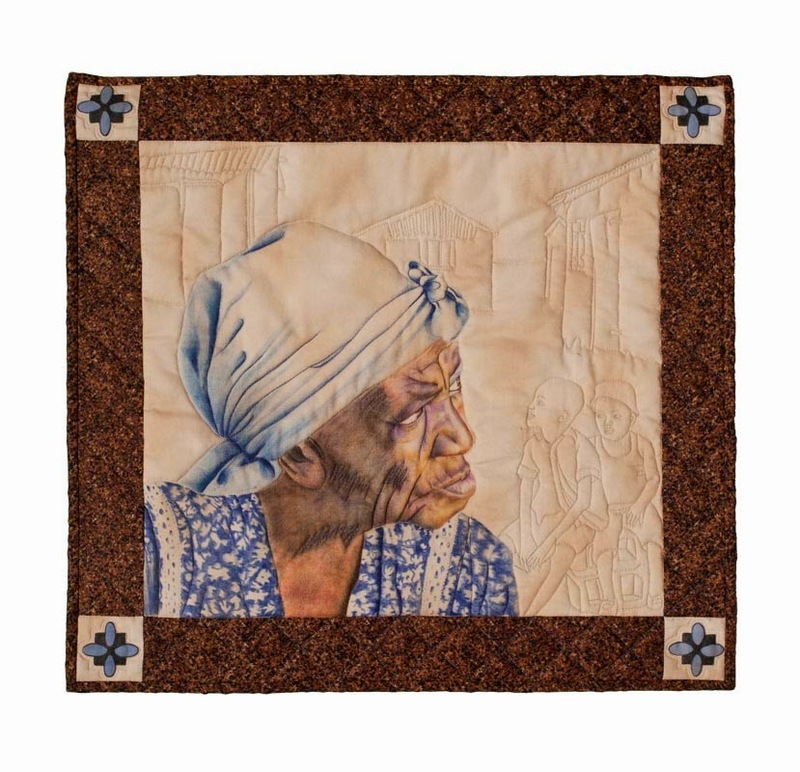 Creating Futures is a textile art exhibit organized by the Omas-Siskona (Grandmothers Together) of Kitchener-Waterloo in support of the Stephen Lewis Foundation Grandmothers to Grandmothers Campaign. 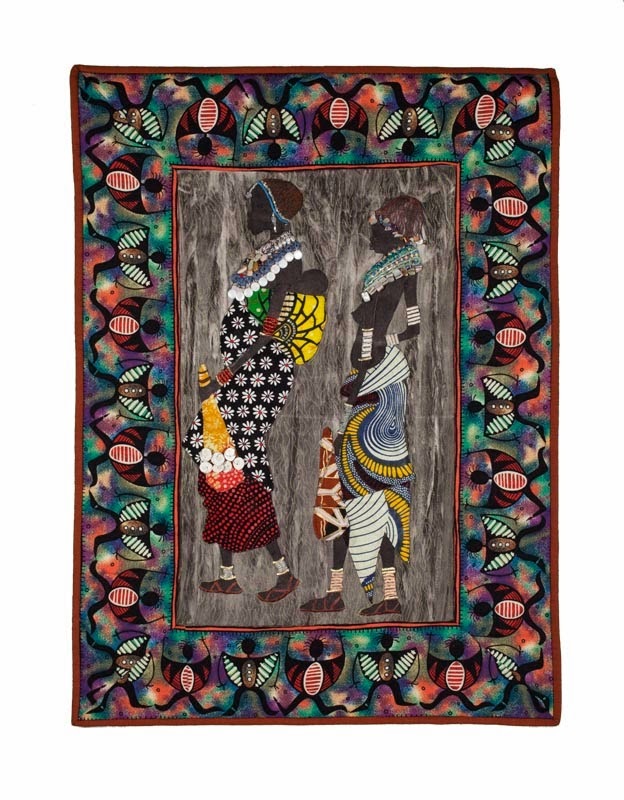 Subtitled “Threads of Hope for African Grandmothers” the exhibit seeks to raise funds for African grandmothers caring for children orphaned by HIV and AIDS. To me, snowdrops symbolize hope. In our part of the world they are the first flower of spring. These resilient blossoms poke their delicate heads through layers of fallen leaves and crusted snow as soon as the sun starts to warm the cold earth. Despite setbacks of heavy spring snowfalls, sleet and freezing rain, they persevere to remind us that more favourable life-supporting times will come. I created these blossoms using a technique I call “Modern Stumpwork”. 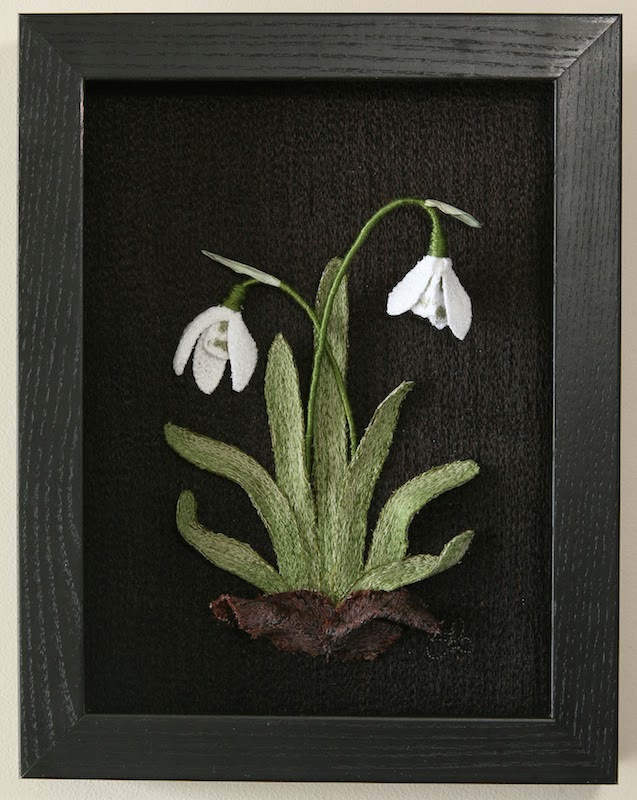 I started with a simple drawing of snowdrops in my garden to lay out the composition. That drawing became my base pattern. I stitched the background using my longarm sewing machine. I then longarm machine stitched each of the leaves and petals individually and cut them out. I then appliqued the leaves to the background. I formed the flowers by hand stitching the petals together and attaching them to a copper wire. I then wrapped the wire and some paper yarn with floss to form the stems. In this way, I combine centuries-old dimensional hand embroidery techniques with modern machine stitching. “Nyanya” 21” x 19” by Judy Pearce is painted with ink on cotton fabric and augmented with stitched detail to tell its story. “Women do the Walking While Men do the Talking” 21” x 29” by Dorothy Holdenmeyer captures the posture and movement of these two women. 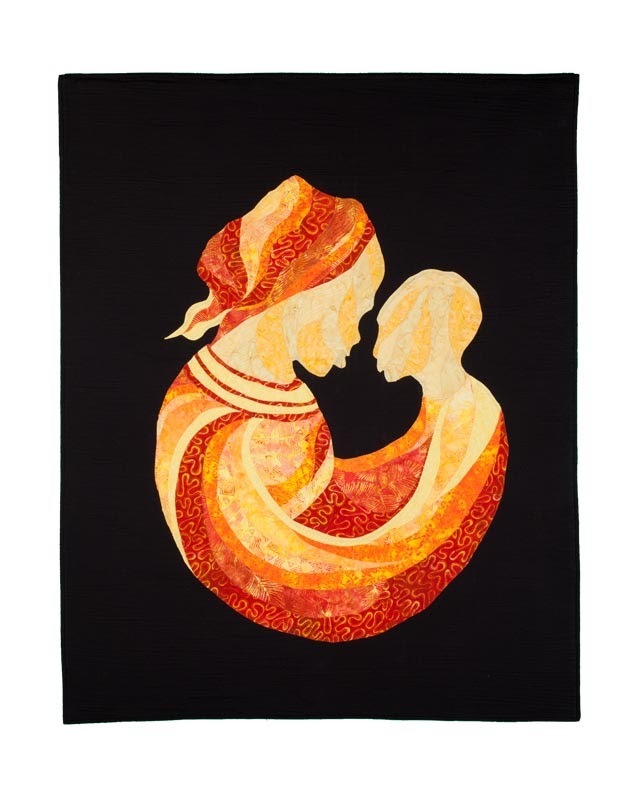 “Unconditional Love” 44” x 54” by Joyce O’Connell is carefully pieced and enhanced with lovely machine quilting. 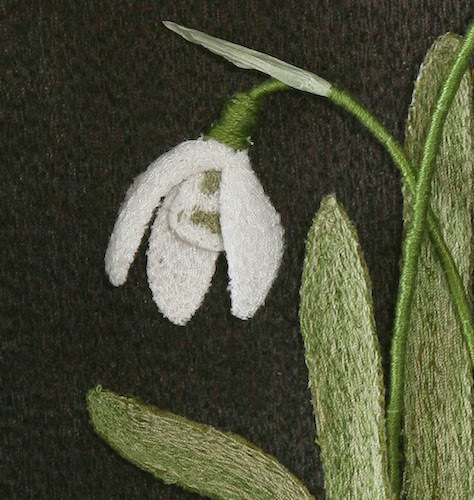 It was very interesting to read how you made your snowdrops - I had no idea they were not done by hand! Beautiful work! Wishing you well on this exhibit and the auction - hope you make lots of money for this great cause! Thanks very much Kerry for your interest and support. To clarify...while the petals and leaves are machine stitched, there is, in fact, quite a lot of handwork involved to form the flowers, create the stems and attach the elements to the background.